Playful & positive. Combining ukulele with flute, organ and orchestra. Very child-friendly. Uplifting and fun. Whistling, kazoo, drums and ukulele create a joyful atmosphere. Retro track with hammond organ and bassoon. Subtly ironic. Ukulele, percussion and an oldschool brass and reed section. Quirky mid-tempo track with a laid-back, clever vibe. Child-friendly instrumental, inspired by country music. Featuring banjo, flute, guitar and harmonica. Vintage brass band sound. Cheerful, heartfelt and good-natured. With whistling, male voices, banjo, reed and tuba. Perfect for family programs, circus and zoo. Acoustic guitar, shuffled percussion and whistling. For daytime TV, zoo documentaries and anything that needs a bit of tongue-in-cheek scoring. Jaunty folk pop song with a sunny attitude. Acoustic guitar, whistling, percussion and brass. Fun, energetic and amiable. Crazy, funny and dynamic polka, that sounds like a bobbycar race out of control. Brass, drums and choir. Instrumental version available. Jolly piano, brass, percussion and cartoonish sound effects. Lazy, slightly silly mood. For slapstick, cartoons, zoo, circus and funny children's TV. 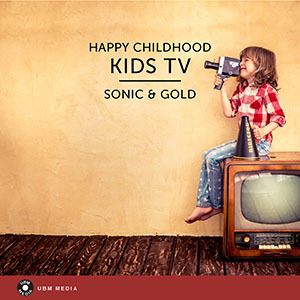 Easy listening 60´s pop type tune that radiates happiness and optimism. Lively strings play a memorable theme that will surely stick in your head. Funky and fun! Oldschool funk/ soul track with a happy-go-lucky feeling. Easygoing, innocent and sweet with a bit of nostalic for decades gone by. Uplifting, positive, happy. Full band with ukulele. Cute ukulele melody and organ; later brass and soft drums. Warm sound for images of family, nostalgia and leisure. Ukulele and pizzicato strings characterize this track, radiating happiness and optimism. Jaunty and portly, fast tempo. Steadily moving forward. For images of the funfair, the circus or funny events at the local zoo. Cheerful mid-tempo rock track for the entire family. Featuring drums, organ and electric guitar.